10) Too many toilet humor insults were hurled at him because of his last name. 9) He didn't want to make other players jealous of his hairdo. 8) He was so sad he couldn't peel himself off the bench. 6) He had to take a shot of vodka out of a striped paper cup. 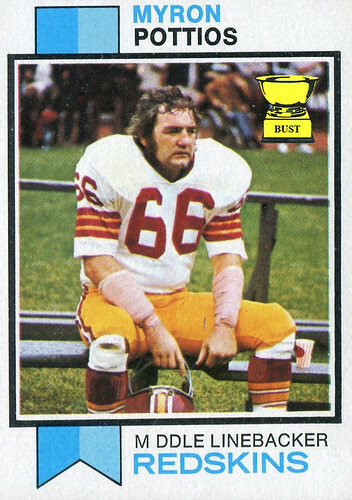 5) He was busy starring as Bluto Blutarsky in "Animal House." 4) Chin was too deadly a weapon for a football field. 3) Couldn't fit his helmet over his sideburns. 2) He didn't believe in playing for a team whose name was considered a racist slur by the people it was meant to represent. 1) The team didn't have a position for a m_ddle linebacker. Over? Was it over when the Dolphins bombed Pearl Harbor? No, and it ain't over now!! Who's with me?